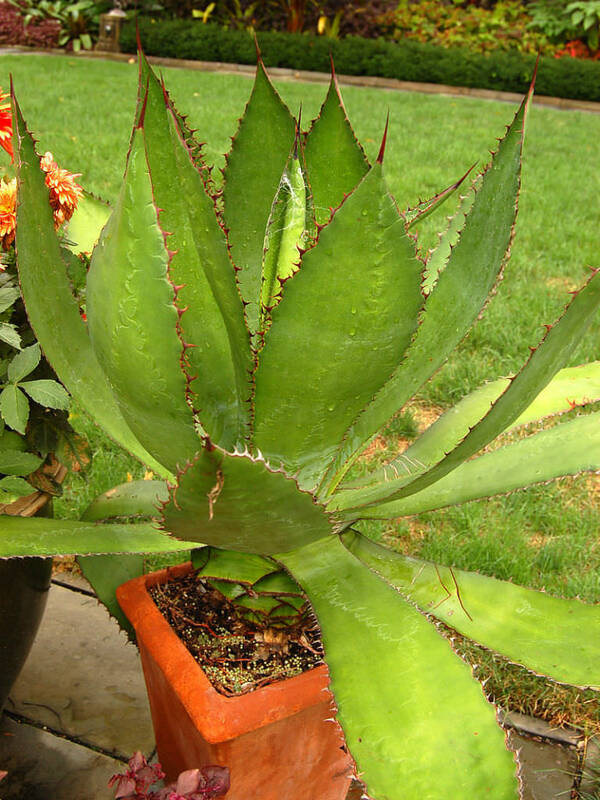 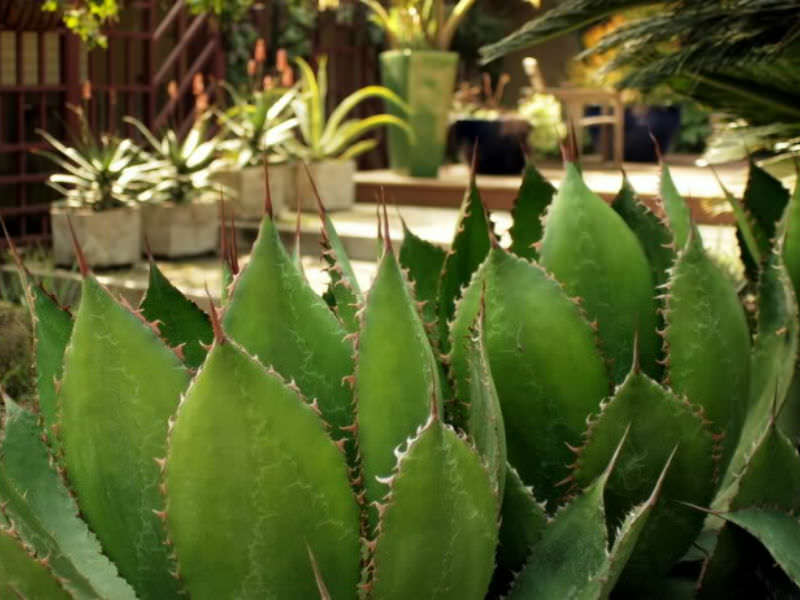 Agave bovicornuta is a very attractive, small to medium-sized, solitary growing Agave. 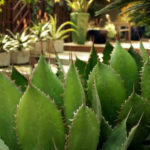 It is up to 3 feet (90 cm) tall and up to 5 feet (1.5 m) wide, with an open rosette of up to 30 inch (76 cm) long and up to 6.5 inches (16.5 cm) wide, yellow-green to medium-green leaves that are widest in the middle. 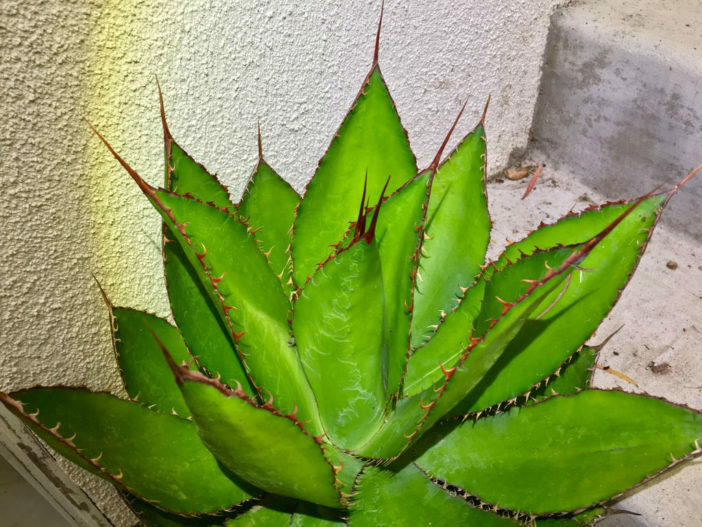 The leaf blades are attractively edged with large, reddish, dark brown teeth on large teats, some recurving back towards the base and others towards the leaf tip, which has a short stout terminal spine. 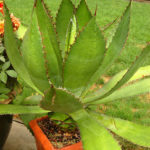 The broad leaf surfaces are further decorated by impressions (crenulated bud imprints) made by the margins of other leaves as they emerge from the center of growth and the new leaves have an attractive satiny finish. 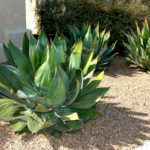 When the plant matures, which usually takes 12 years or more, it produces a up to 23 foot (7 m) tall, branched inflorescence bearing 2 inch (5 cm) long, yellow and green flowers. 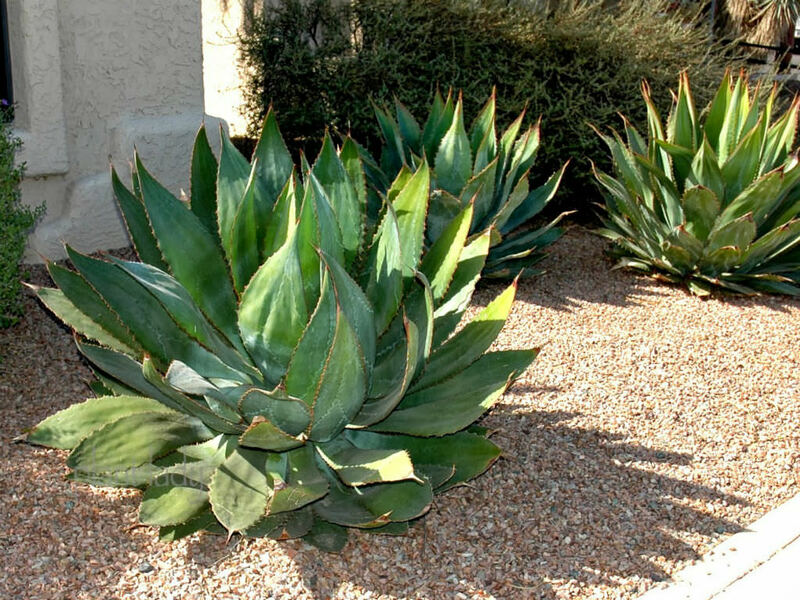 Agave bovicornuta is native to mountainous regions in the Mexican states of Chihuahua, Sonora and Sinaloa.